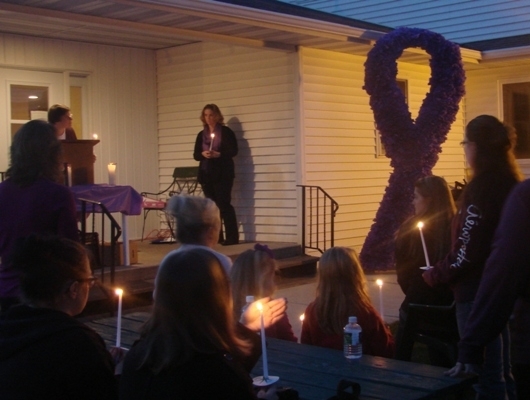 On October 10th, Safe Haven Domestic Abuse Center in Shawano gathered for a candlelight vigil to remember the victims of domestic violence and sexual abuse. Is the vigil an event, Safe Haven has hosted before? 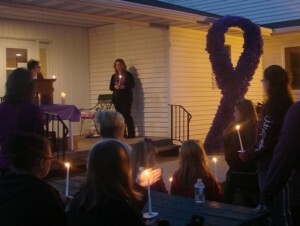 Safe Haven hosts the vigil every year. This was our 11th year hosting the event at our facility. A vigil allows us the opportunity to honor the victims that we may have lost but also give strength, encouragement and empowerment to those that speak out at the vigil to share their story. This a time for the community to unite to end violence in our community, while giving power (and control) to survivors. It brings awareness (of our services and programming) to the community members that come to the event and allows survivors the opportunity to share their powerful stories and to have their voices heard and to be believed. That are not alone and having a guest speaker share their story has a much larger impact to attendees. That impact results in an unbreakable bond of other survivors. Having the survivors’ stories is important and brings a new level of awareness that is impossible to reach without their voice. An event we’d like to highlight is our Take back the Night, which is held in April on the Shawano County courthouse front lawn. Survivor stories are a big part of that event. Two every powerful resources for survivors on their healing journey.